We organize a breakfast / talk about sport & intellectual property. 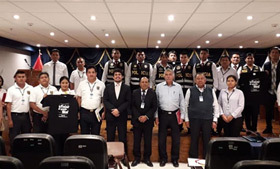 Lima, April 12, 2019. 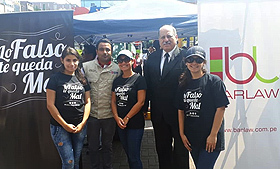 We actively participate in the campaign "social impact information fair" educating consumers. 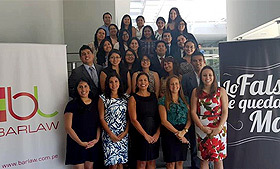 Lima, April 10, 2019. 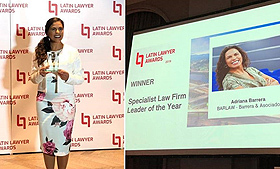 Congratulations to our manging partner Mrs. Adriana Barrera that has just received the SPECIALIST LAW FIRM LEADER OF THE YEAR AWARD granted by LATIN LAWYER magazine. Sao Paulo, Brazil. April 10, 2019. 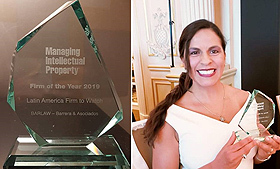 Our partner Mrs. Adriana Barrera has been invited to receive the award “Latin America Firm to Watch” Americas Awards 2019 - Managing Intellectual Property. New York, April 4, 2019. 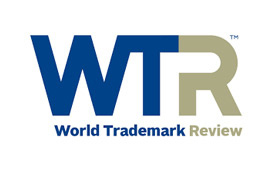 We share article published by our senior associate Ms. Catherine Escobedo related to MOTION TRADEMARKS regitrations in Peru in World Trademark Review magazine. 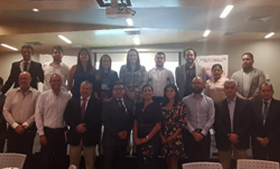 BARLAW, in coordination with the Ministry of Production, organized the seminar "Strategies to protect and strengthen intellectual property rights" regional authorities attended this seminar that took place on April 3. Speaker: Dra. Giovanna Vila. 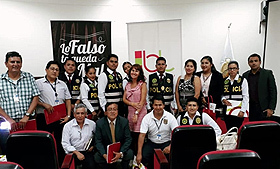 To end the week, we have organized a Seminar to the Fiscal Police about Intellectual Property. Lima, March 22, 2019. We were in Ica training the authorities on intellectual property matters. Speaker: Mr. Renato Paredes. Ica, March 21, 2019. THERE ARE THREE CONSECUTIVE YEARS THAT WE'RE GOING TO ICA! THANK YOU ICA!